Buy Camacho Imperial Stout Barrel-Aged Cigars by Cigar Dojo Online! Taking into account the aging process of the staves used to create bourbon barrels, then an average estimate of Heaven Hill’s fine-aged bourbons, then the eight to twelve-month aging process of Oskar Blues’ Ten FIDY, then the six months of tobacco aging, and finally the aging of the finished product, Imperial Stout Barrel-Aged includes up to seventeen years worth of aging contained within the final product! For the cigar’s blend, Camacho has based Imperial Stout Barrel-Aged on their world-renowned Triple Maduro cigar. Using Brazilian Maduro, Dominican Maduro, and Barrel-Aged Honduran Maduro tobaccos, the cigar is then bound in Camacho’s Original Corojo Maduro, and finished with a dark and oily Mexican San Andrés Maduro wrapper leaf. The end result is an all-maduro blend on steroids! Interestingly, as the tobaccos were aged/fermented in the beer barrels prior to rolling, the cigars do not take on an “infused” taste, but rather a complex and traditional experience, highlighted by rich malts, dark chocolate, and a slight vanilla/bourbon/boozy buzz in the retrohale. Expect FULL flavors, a medium-plus strength, and a medium/full body. 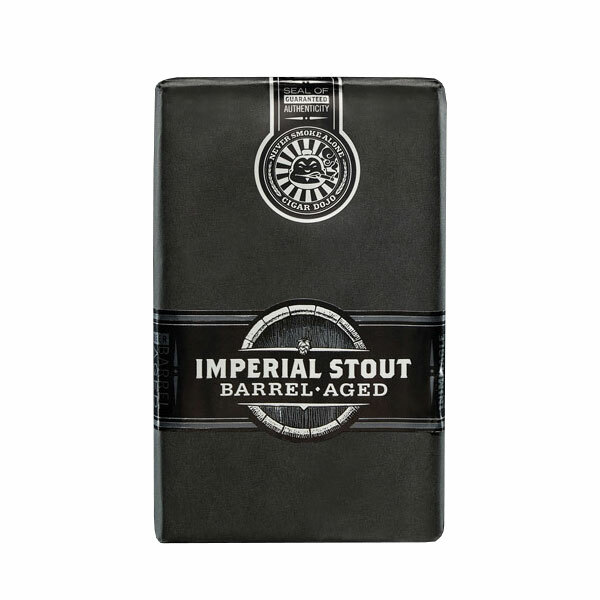 Be sure to secure your bundle fast, as Imperial Stout Barrel-Aged is not expected to last long!